At sunset, after traveling 77 miles to the south across the English Channel, Titanic arrives at Cherbourg, France. 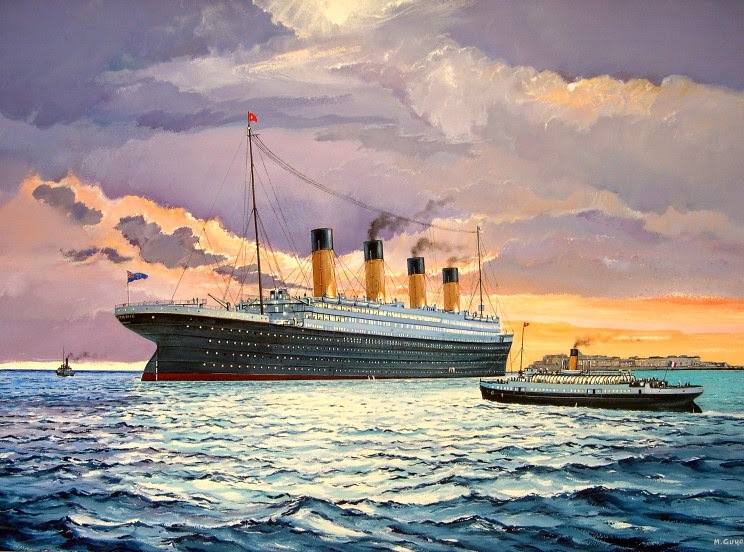 Titanic was so large that she had to ride at anchor in the deep water because the docks were too shallow. 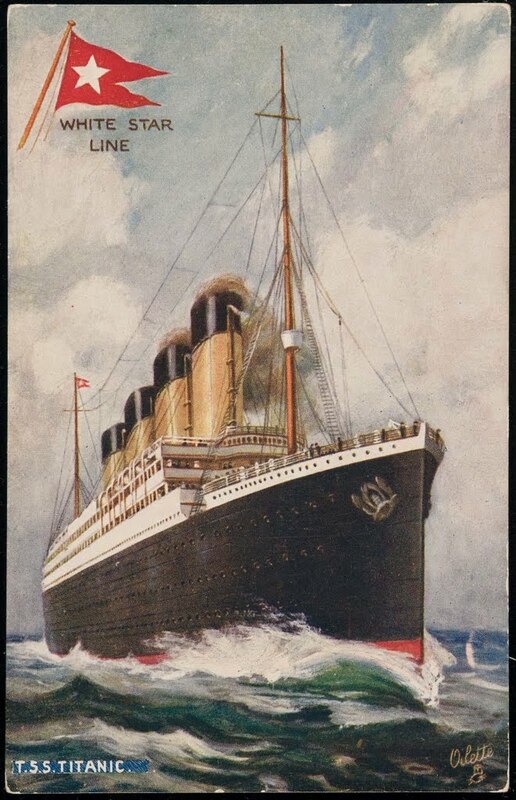 So the White Star Line designed 2 tenders, "Nomadic" and "Traffic" to ferry passengers, luggage, and mail bags from the dock to the ship. Nomadic, carried the first and second class passengers, while Traffic carried the third class. By 8:30pm, Titanic is ready the leave Cherbourg. She rises anchor and turns to the north. Her lights sparkle against the night sky as she sails back into the English Channel.